This spacious 2 bedroom apartment with new carpet and fresh paint offers a great opportunity to move in with nothing left to do. Combine this with unbeatable amenities in the impressive "Fresh Apartments" complex including two pools, gym facilities, secure parking, lift access, intercom security, an on-site manager and professionally landscaped grounds, the resort-style property presents as a true inner city oasis. 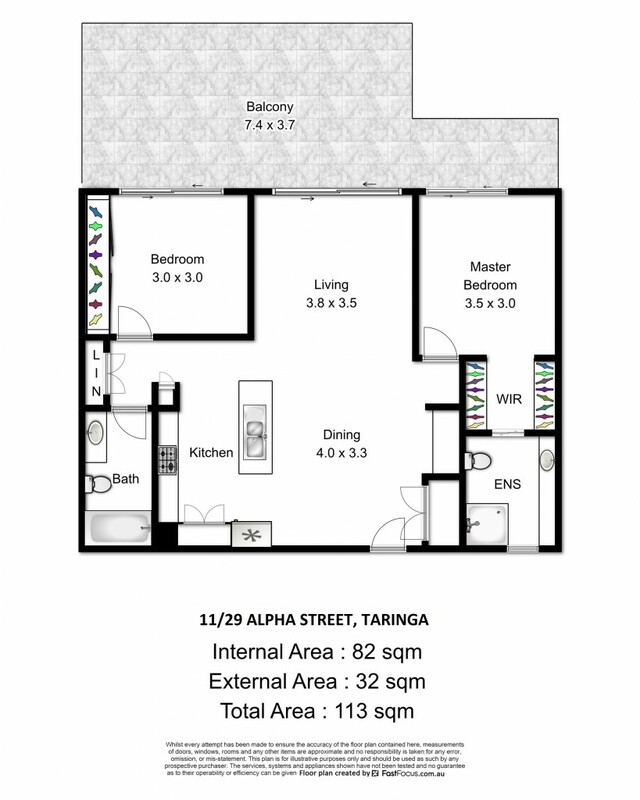 Thoughtfully designed with versatility in mind, the central open plan living area flows out to the expansive balcony and separates the two bedrooms making the property perfect for couples, families, singles, students or downsizers. Both bedrooms also have direct access to the balcony with the master bedroom boasting an ensuite and walk-in robe and the second bedroom featuring a large built-in robe. A location unmatched, close to The University of Queensland, Toowong Village and public transport all just 4km from the CBD, this modern two bedroom apartment presents an excellent opportunity for an owner occupier or investor.